A muscle strain is a fairly common form of injury, which contribute to heavy physical exertion, indiscretion, winter ice, and many other factors. For the treatment and prevention of widely used various ointments, creams and gels, which have a positive effect on muscles and tissues at the expense of their constituent components. The mechanism of this injury is associated with excessive tension of the muscles and ligaments, which are not comparable to the possibilities of muscular-ligamentous apparatus. The main feature of stretching is pain, which can be both minor and quite strong. In addition, there is swelling of the damaged parts of the body due to oxygen starvation of tissues and inflammation of small blood vessels. If the impact was strong enough, stretching can be accompanied by bruising. Stretching the muscles, the ointment should be applied in small quantity, as the process of absorption is slow. What means effective in stretching muscles? To treat this type of injury used ointments, gels and creams, to pain relief, decrease irritation and inflammation, decrease swelling and bruising, improve blood flow and the stimulation of tissue growth. Active components included in their composition, much easier as tensile and accelerate recovery of muscle tissue. In the period of acute injury, we recommend the use of gels as they cool the injured area and relieve pain without irritating the skin. Anti-inflammatory drugs to treat muscle strain is made on the basis of diclofenac and ibuprofen. Some of them include in their composition of essential oil, horse chestnut and Arnica. The most effective are ointments "Diklak", "Dolobene", "scars". To reduce swelling and recovery of small vessels ointments: "Reparil", "Caffeine", "Heparin ointment", "Nicomen" and "Nikudan". They contain heparin, as well as the active components normalize the microcirculation in the affected area muscles. If too pronounced pain, apply pain ointment: "Perchlozon", "Naftalan", "Miauton". What ointments are used to prevent muscle strain? In the period of rehabilitation after muscle strain, and for prevention of injuries with significant physical exercise it is advisable to use a good relaxing and warming cream: "Nikofleks", "Capsomers", "Delpic". They quickly warm up the muscles, making them more elastic. Due to the content of active substances, these ointments significantly increase the permeability of small blood vessels and increase the heat transfer in tissues. For maximum effect, before applying warming ointments is recommended for body massage. Muscle strain often occurs as a result of heavy physical loads during sports or in everyday life. In damaged areas developing a hematoma, you may receive the pain of different intensity. For relief of the condition, it is recommended to use medical ointment. When stretching, you need to create the rest the damaged muscle. As soon as possible to cool the sore spot with ice wrapped in a towel. During the day this cooling procedure is performed every 4 hours for 20-30 minutes. This will reduce swelling and pain. When stretching be effective ointments or gels that contain anti-inflammatory agents (diclofenac, indometacin, ibuprofen). You can buy product "Fastum gel" or "Fibrofog" (non-steroidal anti-inflammatory drugs), "Efkamon", which has a warming, anti-inflammatory, action. In the "Arcamone" is tincture of Struchkova pepper, methyl salicylate, essential oils and other components. This ointment effectively relieves the pain and relieve the inflammation of the tendon-ligament apparatus. When stretching you should always consult a traumatologist and an x-ray to rule out serious injury. The selected remedy should be massaged in a circular motion in the area of damage. After application you need to roll up the place a warm scarf. The duration of application of the ointment will depend on the nature of the injury. Tensile mild to moderate severity shown the ingestion of non-steroidal anti-inflammatory drugs (for example, "Nimesil"). When severe pain, you need to take an analgesic. Sprains you can use the ointment "Analges", is a vasodilator, it creates a feeling of warmth, stimulates the metabolism, increases blood flow and reduces muscle tone. When severe pain is used "We", it contains bee venom, methyl salicylate, mustard and essential oil. The drug activates the metabolism, increases the elasticity of muscles and connective tissue, improves local blood flow and reduces pain. For reviews of therapeutic effect develops in a few minutes after applying the ointment. It is applied on painful location in the amount of 2-3 g. after 1-2 minutes rubbing it and do a light massage. Sprains can also apply the ointment "Finalgon" and it contains butoxiatilovy ester of nicotinic acid and onilovoy acid, has a strong warming effect. This tool must not get on mucous membranes and abrasions. For bruises, sprains shown ointment "Delbene" containing heparin, dimethyl sulfoxide, dexpanthenol. Heparin is the anticoagulant of direct action, effective for bruises. DMSO has antiexudative, anti-inflammatory and local anesthetic action. Dexpanthenol improves metabolic processes, promotes restoration of damaged tissues. Ointment "first days without" is a non-steroidal anti-inflammatory drug, is a modified form of ibuprofen. The active ingredient quickly relieves pain and swelling, increases joint flexibility. Injury is one of the most common injuries that get both children and adults. Like any other damage, it is quite unpleasant and painful. Of course, many people want as soon as possible to cure this sore, and they very often help special ointments. Injury – is damage to the organs or tissues, but the integrity of the skin not broken. Typically, it occurs when a fall or impact. Most commonly observed injuries of the limbs and head. Fabrics have different resistance to attack, so the extent of damage varies. Most susceptible to injuries of parenchymal organs and subcutaneous tissue. In injuries of this type, usually there is a rupture of small lymphatic and blood vessels, which in turn causes hematoma. Diagnosis if the injury does not cause almost any difficulties. But in some cases it is necessary to exclude possible damage to the bone. So sometimes the doctor may prescribe x-rays of the damaged section. Damaged parts of the body need to create peace. On the first day to injury periodically need to apply cold and then heat treatments are desirable because thanks to them, the hematoma will resolve faster. Quite effective on bruises ointments that contain nonsteroidal anti-inflammatory agents. In comparison with a bruise where the tissue damage is, you might say, a minor injury requires intensive local therapy. Therefore, it is desirable to apply a product containing diclofenac, Ketoprofen, and ibuprofen. Ointments of this type are applied on the damaged area three to four times a day, but only if the skin is not damaged. When the swelling is large and dense, an ointment to be applied more often because the drug is absorbed less rapidly. Also ointment for bruises may include pain, which has incredible decongestant and biodegradable properties. For example, an ointment of Comfrey (often called Larkspur), well resolves hemarthrosis, swelling and neutralize the anesthetic. And in the case of bone injury it accelerates the regeneration of cartilage cells and reduces inflammation. Good anticoagulant effect have creams and gels containing heparin, for example, "Lioton" or "Heparin ointment". In addition, the effective integrated local remedies such as That" and "Indovazin". They reduce swelling and inflammation. 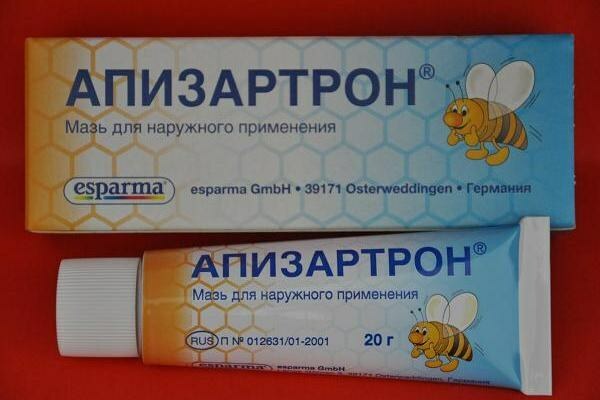 Quite common ointment has a warming effect, such as "Finalgon", "Apizatron". These tools improve the blood circulation in damaged areas. Ointment for bruises, you can apply no more than a week. During this period, the swelling should become less and pain and does pass. The hematoma may remain – this is considered normal, but only for 10-14 days. If during this time the damaged area is left unchanged, so the injury is more serious and should consult a doctor.